Published Mar 22, 2007 by Peachpit Press. Compression is an art as well as a science. As you will learn from our newest video, compression is all about managing the tradeoffs between file size and image quality. 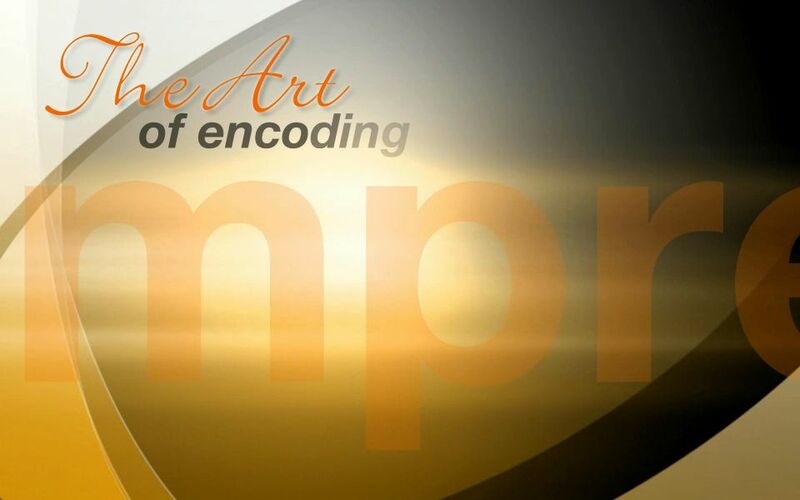 This video contains 14 information-packed chapters covering everything from basic compression concepts to encoding for standard and high-def DVDs as well as compressing for the web using the new H.264 codec. There is a bewildering amount of information out there, and this video was designed to answer those nagging technical questions that arise when it comes time to exporting your work from your editing software. If you're like us, you work very hard to make your productions look like a million bucks - the last thing you want is your program's quality to suffer because of a gap in your current understanding. As with all our ground-breaking tutorials, The Art of Compression Using Compressor, presents this information in clear, easy to follow explanations that will have you confidently preparing and exporting your programs so they will look and sound their best. Everything but the "Kitchen Sync"
Whether you are creating DVDs for the current Red Laser standard or future-proofing your content for the forthcoming Blue Ray HD DVD standard, we've covered all the bases in this comprehensive video tutorial. Just look at the table of contents below. We did our best to cover all the compression scenarios you might encounter. If you are new to compression, you could start with the basics then work your way to some of the more advanced DVD and Web compression concepts while not feeling overwhelmed by technical gobbledygook. If you're a "salty old compressionist" there is a lot of information to be gained in Brian's sections on Advanced DVD encoding for both HD and 24P material. Heck, we even threw in a section on creating low-bit rate DVDs and CDs for client approvals and sign-offs. Oh, and let's not forget format conversion. With Compressor now integrating Shake's Optical Flow technology, you can get pristine looking image quality when transcoding NTSC to PAL or down converting HD to SD footage. This video is chock full of information you can use right away as well as information you can take advantage of at some future date. iDVD vs. DVD Studio Pro. What are Format (a.k.a. Standards) Convesions? Saving Time with the "Test Workflow"